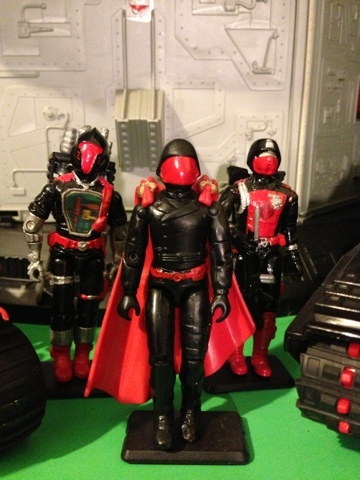 One of my favorite custom group. 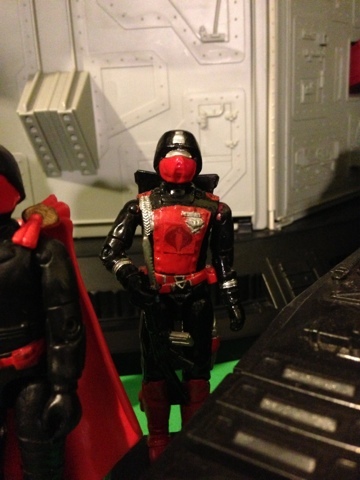 My Cobra Shadow Guard. 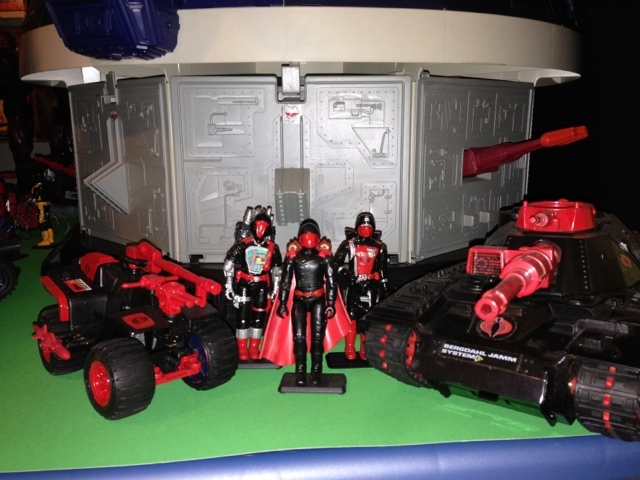 This was my first custom set from years ago. 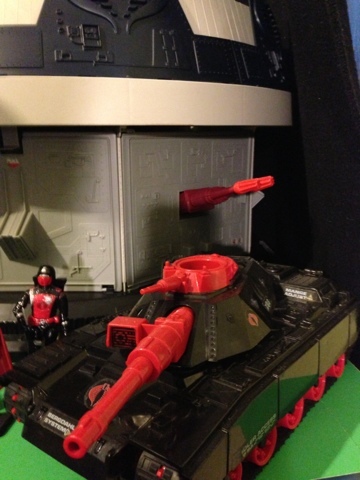 I love the Red and Black theme and plan to add a V1 Viper, Xamot and Tomax and a few others. 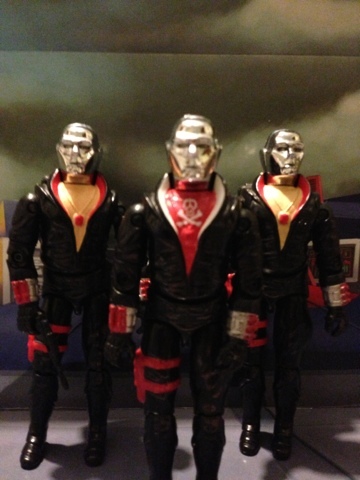 Also have a custom Vamp Mark II custom. 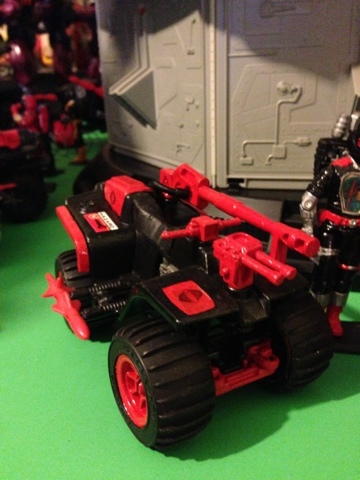 I also have the RARE Crimson Mobat tank. Another awesome piece. When I was a kid, my father and I would paint and build WWII models and I loved it. 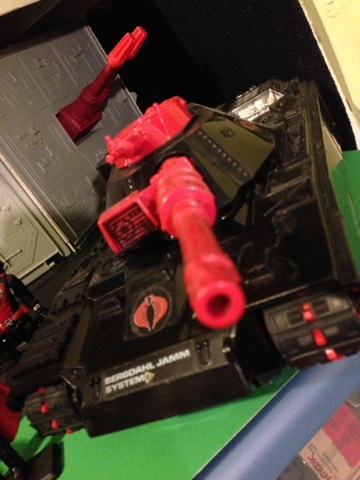 Now I am applying it to my GI JOE Cobra world. 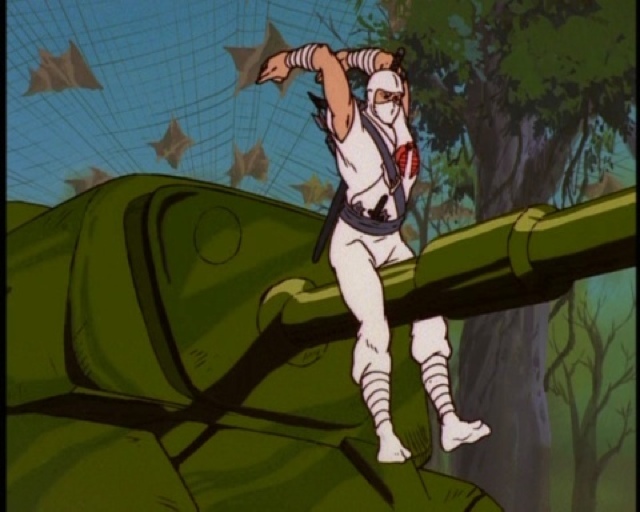 One of my favorite characters. Everything on him is original parts and great detail. I didn't do to much detail because I wanted him dark. 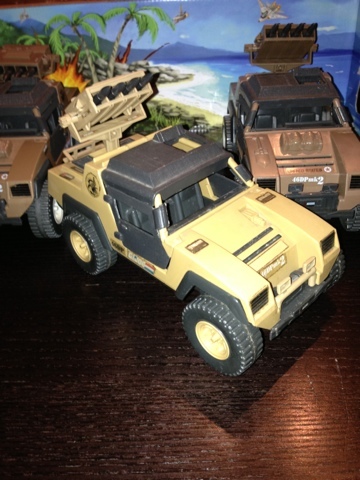 This is the 1984 VAMP Mark II and its ultra Rare Tan variant. 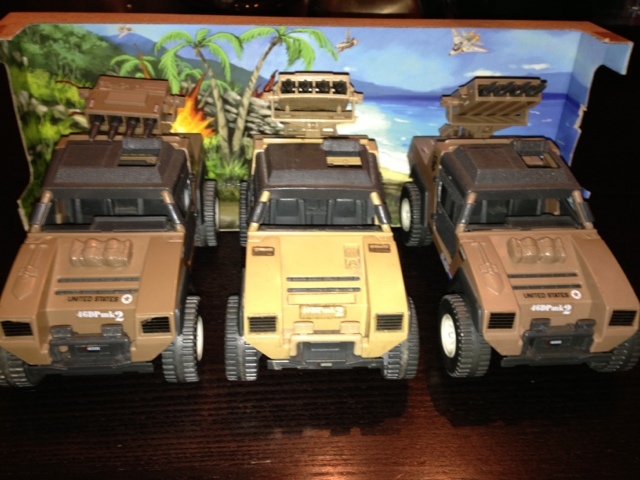 I love all the original jeeps that Hasbro made in the 1980's. 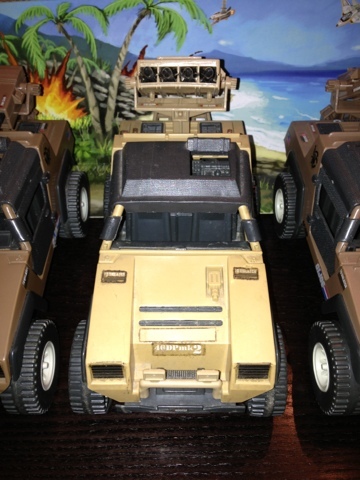 I have 5 of the original Vamp Mark II's but recently got this light Tan version. I've been hunting for one of these for awhile. 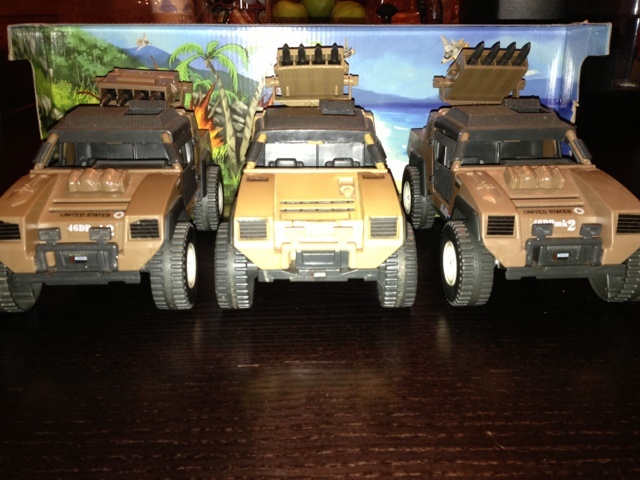 The light tan variant was a mail away and tough to find anywhere. 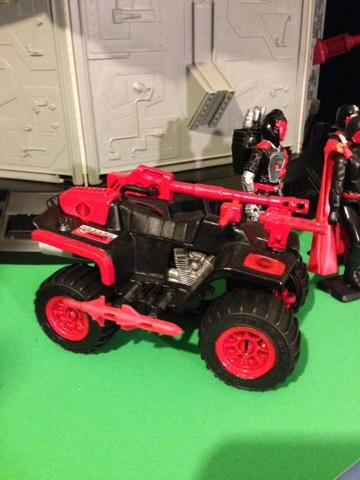 The one I have is just missing the gas cans which I will most likely never find unless someone wants to sell me the ones they have! I took a few pics and hope you like them. 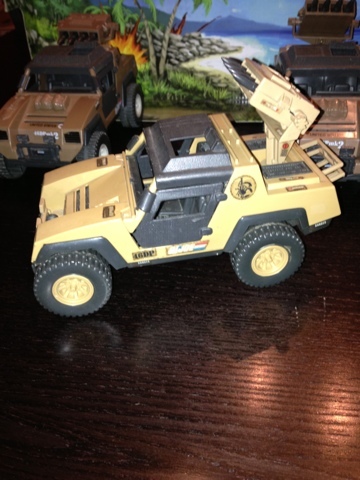 Let me know where you rate this original vehicle and if you have one! 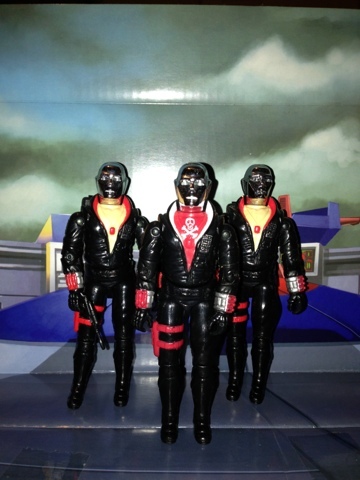 Today I wanted to talk about Destro and his Rare Variant Red Jackal. Red Jackal is from the UK and has an awesome symbol on his chest as you can see. 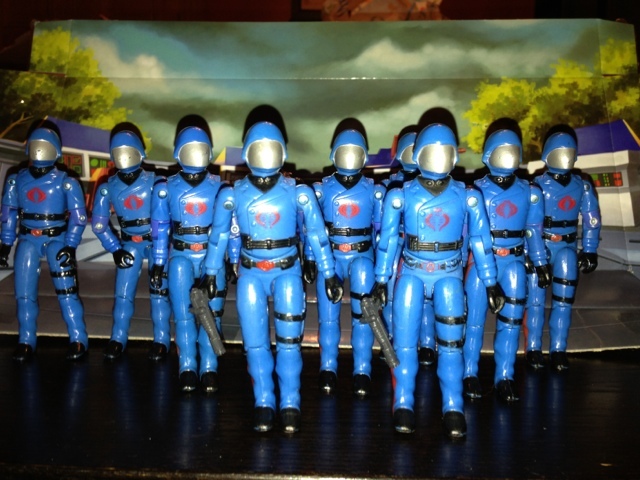 A buddy of mine was asking about RARE figures and thought this was a cool one. 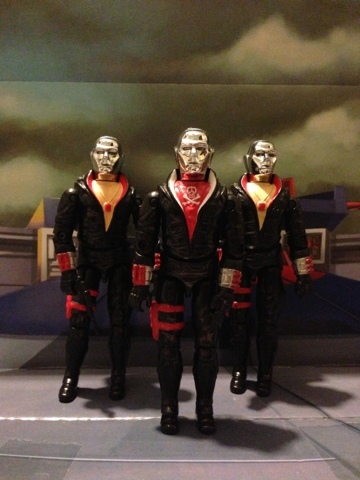 Destro is a great character and this figure truly does him justice. What do you think about this figure? 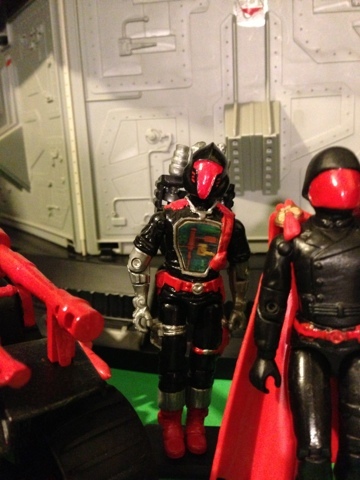 You rarely see this figure at Flea Markets or on eBay but you can find him. 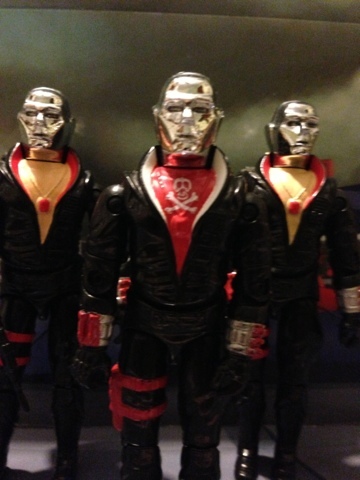 Where do you rate Destro and this figure? Let me know if you have a figure in mind you would like me to show and write about. Enjoy the pics!!! 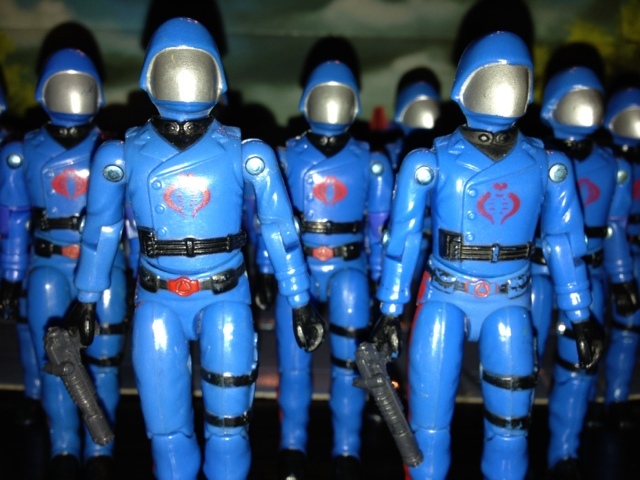 Today I wanted to talk about the "Mickey Mouse" Cobra Commander. 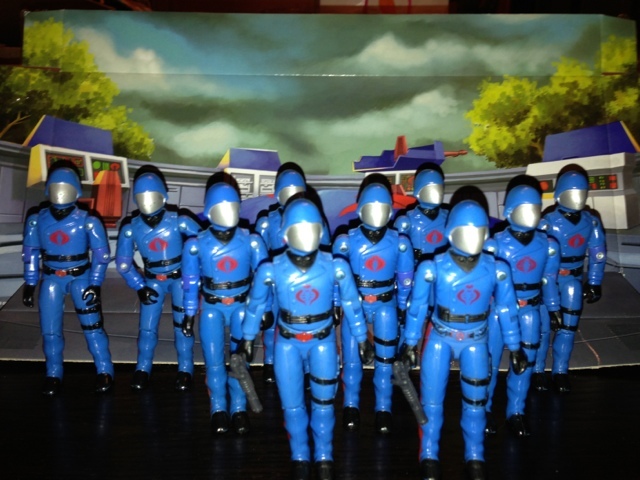 I actually have 2 of these along with 12 of the regular Cobra Commanders. I always loved this figure as a kid but never saw the Mickey Mouse until a few years back. If you look at the pics I've taken you can see the difference in the symbols. 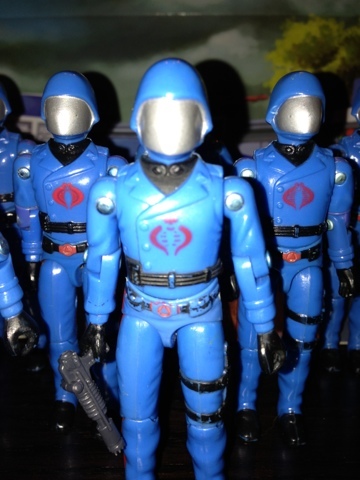 This is a great figure and pretty rare. 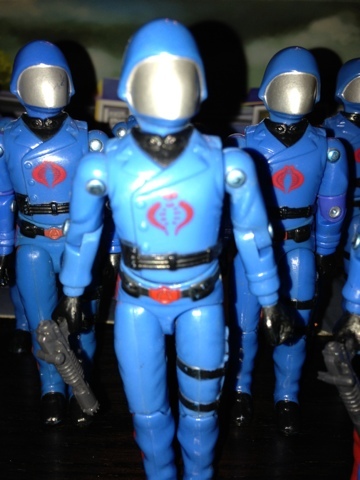 I love the color blue used for him and the red details on his suit. The commander is such a cool character and can't wait to see him on the big screen next week even though he doesn't look like this. What do you think of this figure? Do you have one? Be sure to check us out and add us on Facebook and Twitter. You can also access the pages by clicking the social media icons located at the top-right of the page. Please, help us spread the word. Thanks!!! 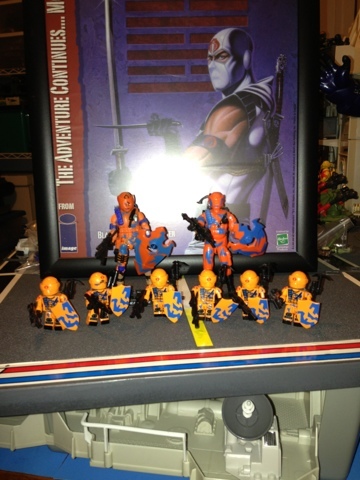 So I have recently been picking up the GI JOE sets and I really like them!! 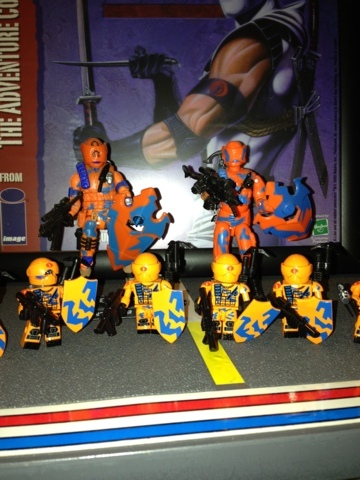 Here's a few pics of the Orange Alley Vipers V1 and V2 and their Baby brother Kre-os. They are awesome!!! While we're posting videos we'd like to share the new viral video for G.I. JOE: Retaliation. 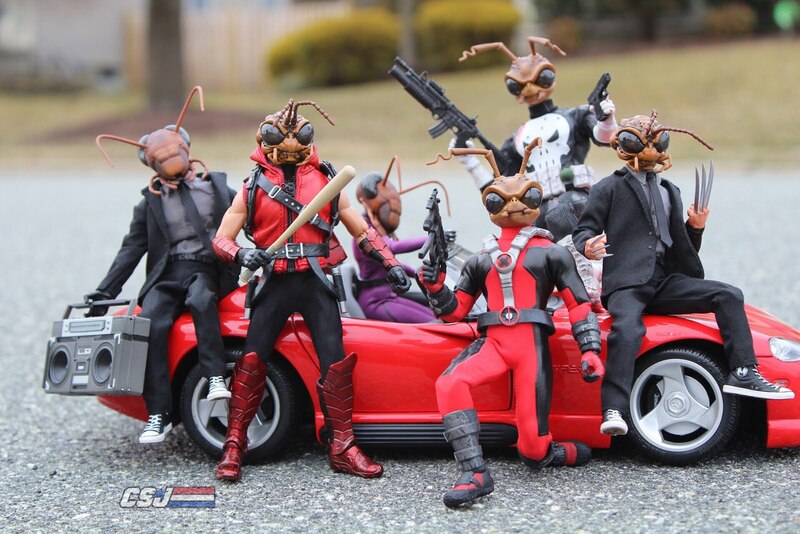 This looks awesome!!! I can't wait to see this in 3D! Check out this Double Stamped Crimson Guard I found at Walmart. It's unopened and not a fake. These usually get thrown out and never make it out of the factory! !